Craig Middle School seventh-graders and coaches look on as Joselyn Moriel sends the ball over the net. Craig Middle School's Cayden King slams the ball back to the Rattlers. 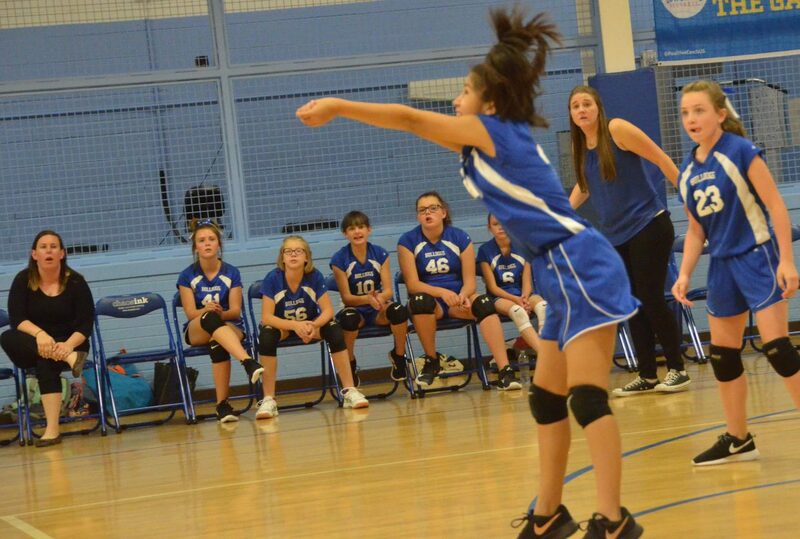 Craig Middle School's Shay Wait readies for a serve during CMS's home game against Baggs, Wyoming. Craig Middle School eighth-graders prep for a serve from Baggs. 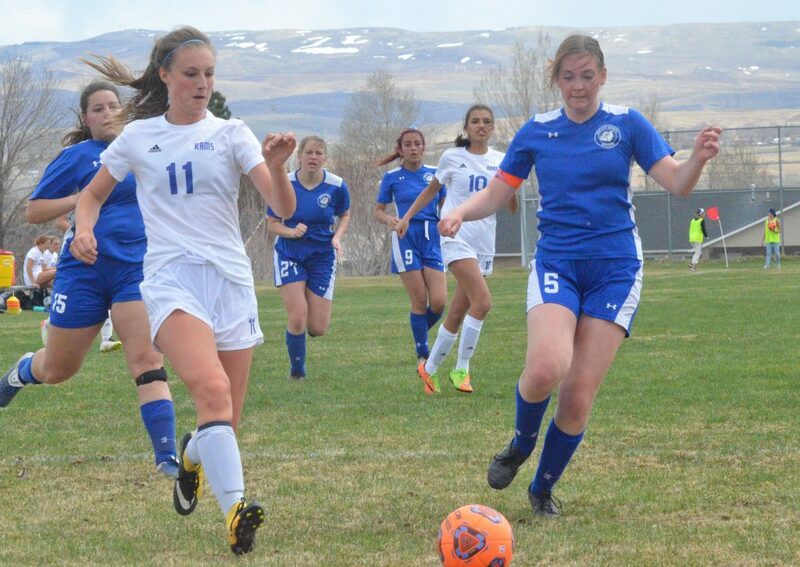 Craig Middle School's Larallie Latham stays alert against Baggs, Wyoming. Craig Middle School's Quincey Lowe pops the ball back to Baggs opponents. 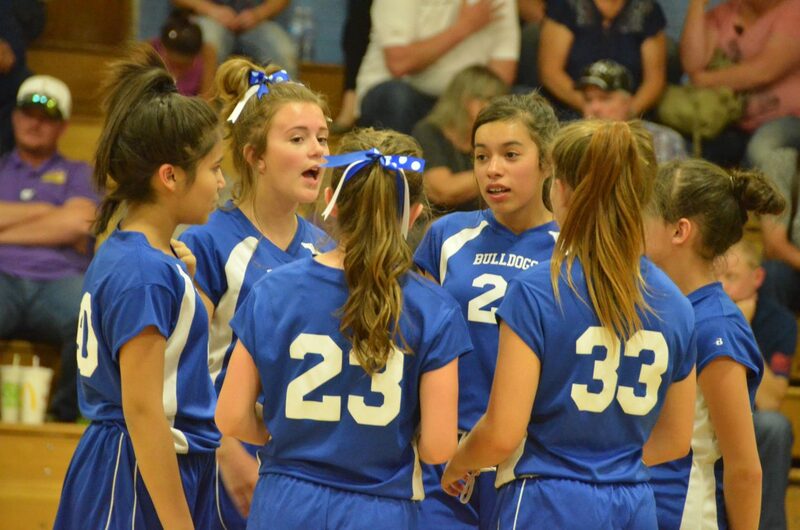 Craig Middle School seventh-grade volleyball players huddle up during a timeout. 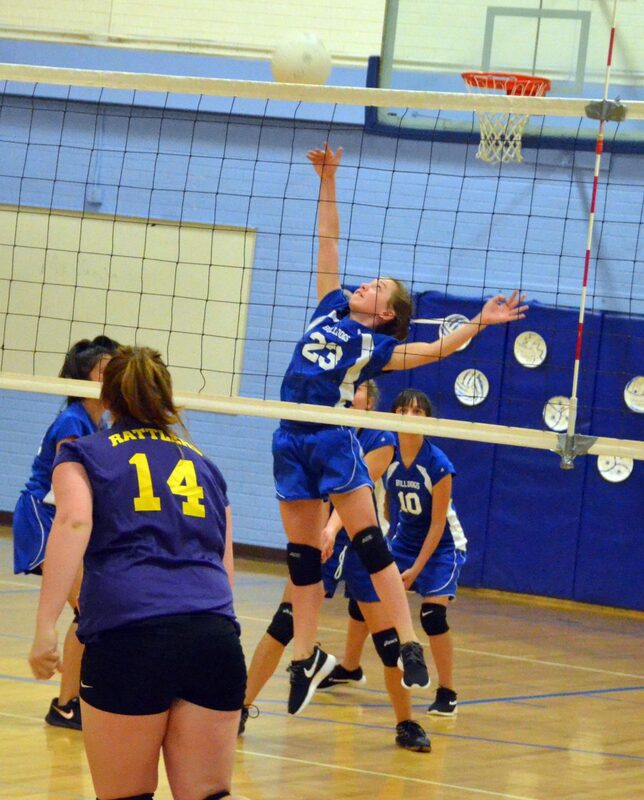 Craig Middle School's Aftyn Kawcak gets in a good bump against Baggs. 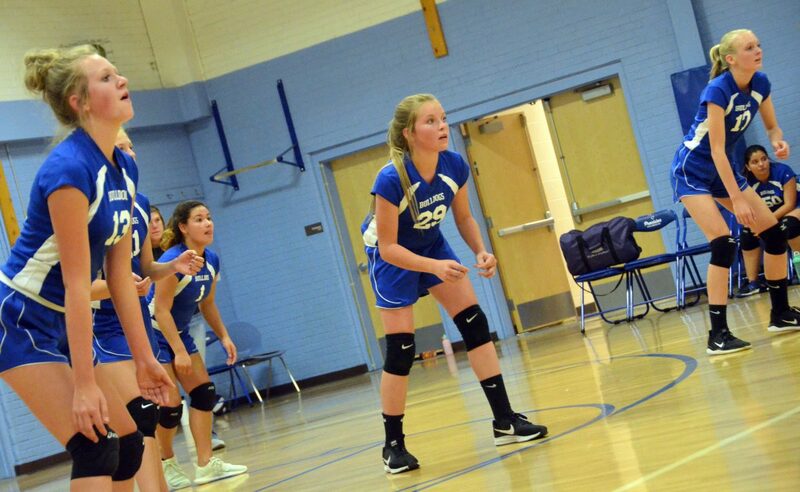 STEAMBOAT SPRINGS — It’s been a back-and-forth start to the season for Craig Middle School volleyball, but Bulldog coaches keep seeing their players moving forward. 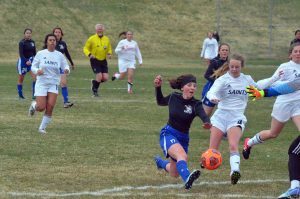 A season opener triangular tournament in Steamboat Springs against the Sailors and Soroco saw eighth-grade teams go 2-2, overall. Service, sets, and spikes have been key, as well as being conservative with the ball. “Three hits has been our goal, and they’ve done well,” eighth-grade coach Bre Ford said. 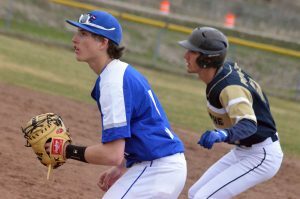 The Bulldogs had their only home games Sept. 13 and 14 against Baggs, Wyoming, and Steamboat, respectively. 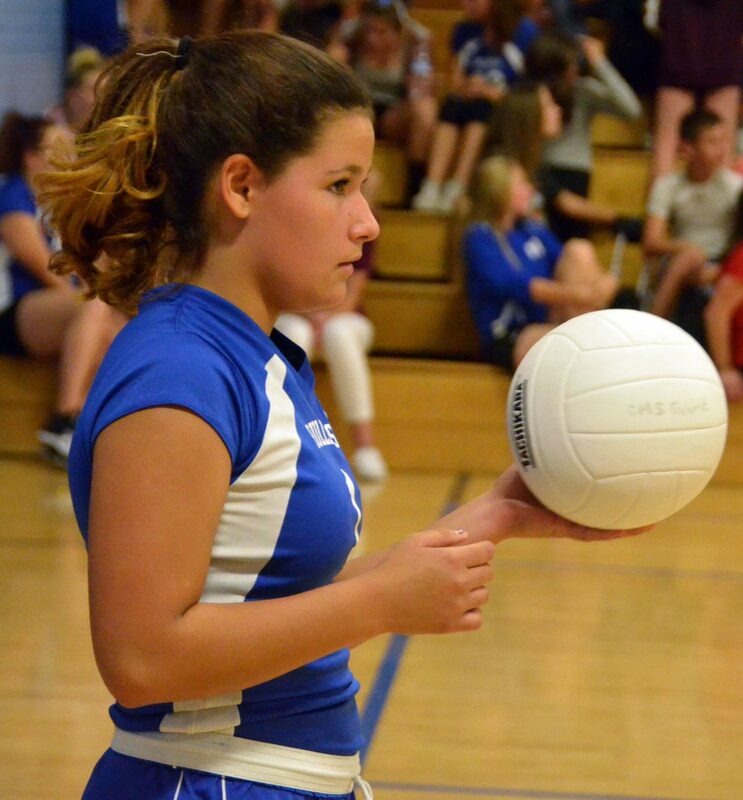 The Rattlers took three straight 2-0 matches over the Craig girls, including eighth-grade A-Team and seventh-grade B- and C-Teams. “It was still an awesome atmosphere to play in because of so many fans,” Ford said. 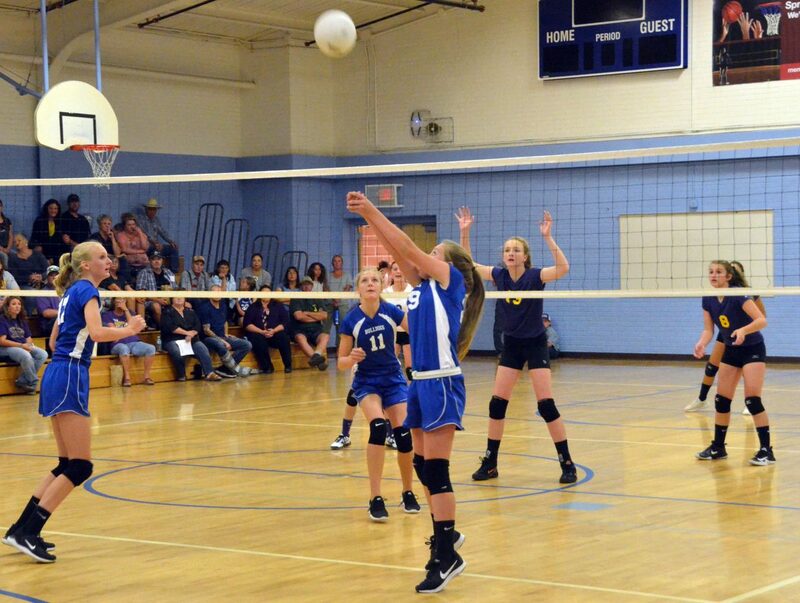 The rematches with the Sailors went better for both the eighth-graders and seventh-graders, with a win in three sets and a loss in three for eighth-grade A and B, respectively. The seventh-graders easily swept the Sailors. 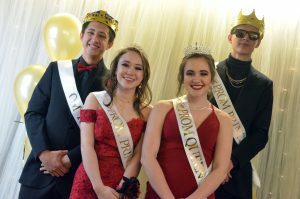 “Everything clicked for them, communicating; serves were good,” coach Shaylyn White said. A Sept. 15 Meeker tournament brought together Craig, Hayden and Rangely, resulting in a tough day for seventh A-Team with dual 2-0 defeats, while B-Team was 1-1 for the day. 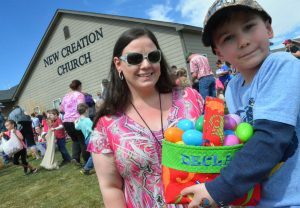 “They did really good together; their excitement was high,” White said. Another three-way tourney is in store this Saturday, with Rifle hosting Craig and Soroco. 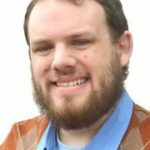 The following weekend will be a three-state event in Rock Springs, Wyoming, bringing in Rawlins, Craig and Vernal, Utah. 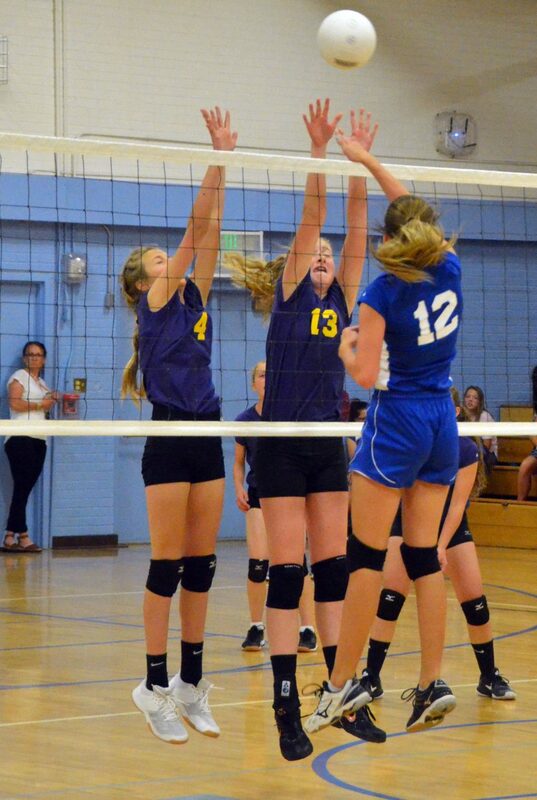 An Oct. 2 match in Baggs will be the final regular game before district tournaments for B-Teams Oct. 4 in Meeker and an A-Team tourney hosted Oct. 6 by East Grand. Between strong, challenging competitions and the preparation in between, athletes continue to improve daily. 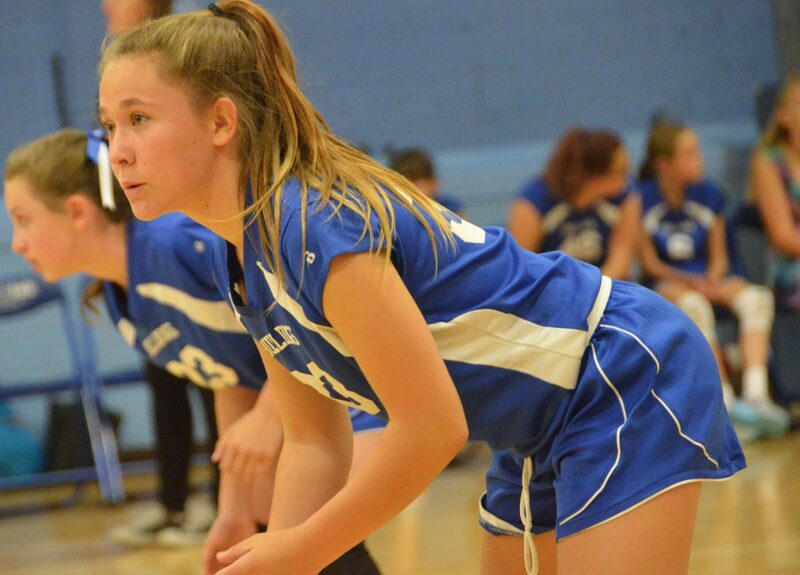 “They’re working really hard in practice, making tremendous amounts of progress and building good fundamental volleyball skills,” Ford said.